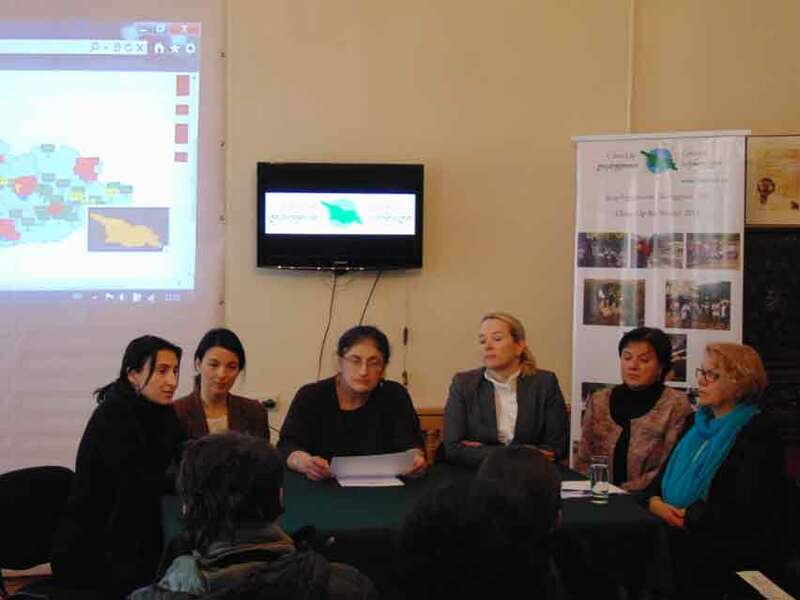 On March 12, 2014, under the initiative of Greens movement of Georgia/ Friends of the Earth Georgia and in the framework of the project “Clean Up Georgia – Raising of Public Awareness and Involvement in Solid Waste Management Improvement” (Phase II) a meeting was held in Mtskheta-Mtianeti Province. 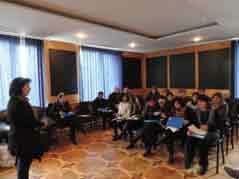 On March 12, 2014, in the framework of the project “Clean Up Georgia – Raising of Public Awareness and Involvement in Solid Waste Management Improvement ” (Phase II), Georgian Society of Nature Explorers “Orchis” arranged a Meeting in Mtskheta Municipality with the participation of the representatives of Mtskheta Municipality Sakrebulo and Gamgeoba, Local Authorities, LTDs and others. 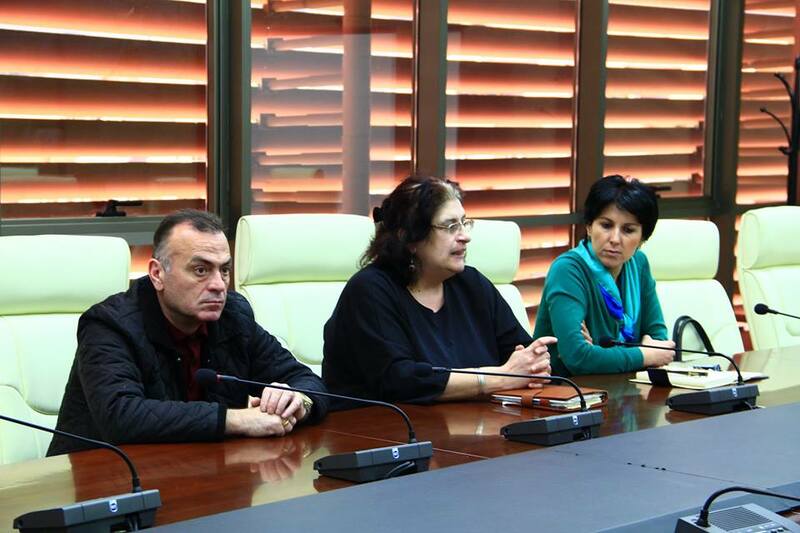 On March 11, 2014, in the framework of the project “Clean Up Georgia – Raising of Public Awareness and Involvement in Solid Waste Management Improvement ” (Phase II), Georgian Society of Nature Explorers “Orchis” arranged a Meeting in Akhaltsikhe Municipality with the participation of the representatives of Akhaltsikhe Municipality Sakrebulo and Gamgeoba, Local Authorities, LTDs, NGOs, and others. 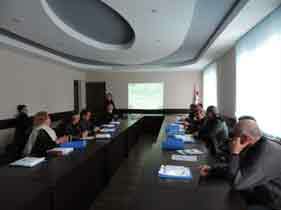 On March 7, 2014, in the framework of the project “Clean Up Georgia – Raising of Public Awareness and Involvement in Solid Waste Management Improvement ” (Phase II), Georgian Society of Nature Explorers “Orchis” arranged a Meeting in Tianeti Municipality with the participation of the representatives of Tianeti Municipality Sakrebulo and Gamgeoba, NGOs and others. 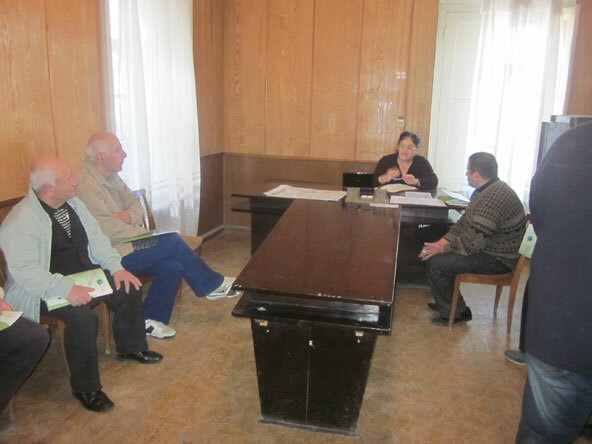 On March 6, 2014, in the framework of the project “Clean Up Georgia – Raising of Public Awareness and Involvement in Solid Waste Management Improvement” (Phase II), Greens movement of Georgia/ Friends of the Earth Georgia arranged a seminar in Kaspi Municipality, village Khovle with the participation of the representatives of local population, village teachers and village trustee. In total 25 activists. On March 6, 2014, in the framework of the project “Clean Up Georgia – Raising of Public Awareness and Involvement in Solid Waste Management Improvement” (Phase II), Greens movement of Georgia/ Friends of the Earth Georgia arranged a seminar in Kaspi Municipality, village Akhalkalaki with the participation of the representatives of local population, village teachers and village trustee. In total 12 activists. 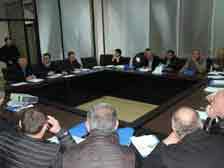 On March 6, 2014, in the framework of the project “Clean Up Georgia – Raising of Public Awareness and Involvement in Solid Waste Management Improvement ” (Phase II), Georgian Society of Nature Explorers “Orchis” arranged a Meeting in Dusheti Municipality with the participation of the representatives of Dusheti Municipality Sakrebulo and Gamgeoba, NGOs, LTDs, Red Cross and others. 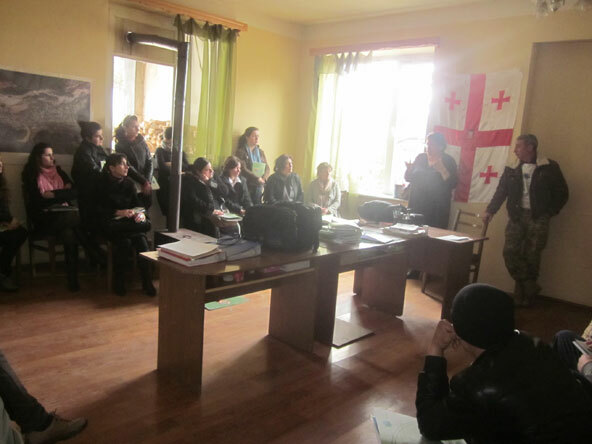 On February 28, 2014, in the framework of the project “Clean Up Georgia – Raising of Public Awareness and Involvement in Solid Waste Management Improvement ” (Phase II), Georgian Society of Nature Explorers “Orchis” arranged a Meeting in Tetritskaro Municipality with the participation of the representatives of Tetritskaro Municipality Sakrebulo and Gamgeoba, NGOs, LTDs and others. On February 27, Extraordinary and Plenipotentiary Ambassador of the Kingdom of Sweden to Georgia Her Excellency Mrs. Diana Janse, Head of Development Co-operation Mrs. Eva Smedberg (Sida) and the project “Clean Up Georgia – Raising of Public Awareness and Involvement in Solid Waste Management Improvement” (Phase II) implementing NGO consortium members held a joint briefing for media representatives on the activities carried out under the project, about the locations and quantity of remaining uncontrolled solid waste in the environment, and about the planned contest within the project. 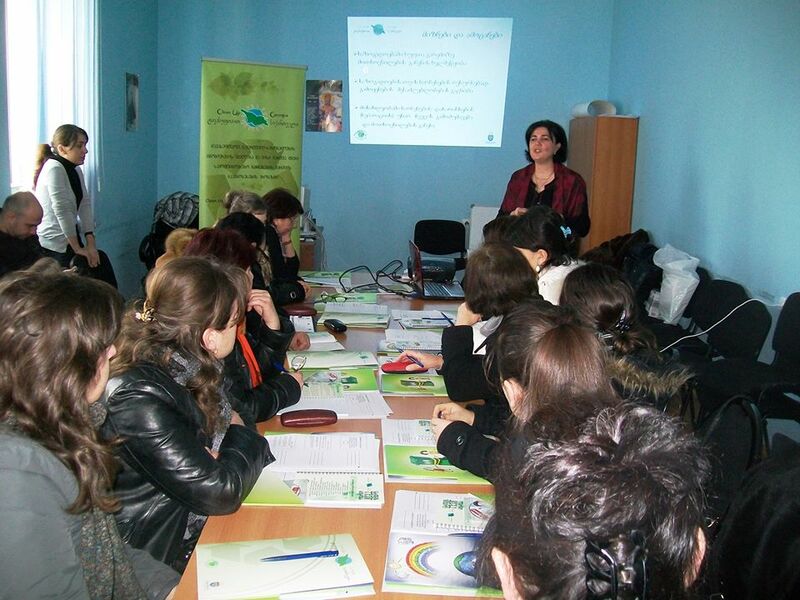 On February 26 , 2014, in the framework of the project “Clean Up Georgia – Raising of Public Awareness and Involvement in Solid Waste Management Improvement” (Phase II), Greens movement of Georgia/ Friends of the Earth Georgia arranged a seminar in Gori Municipality, village Ateni. The meeting took place at the office of the village trustee and was attended by the most active members of the village. In total 25 people. 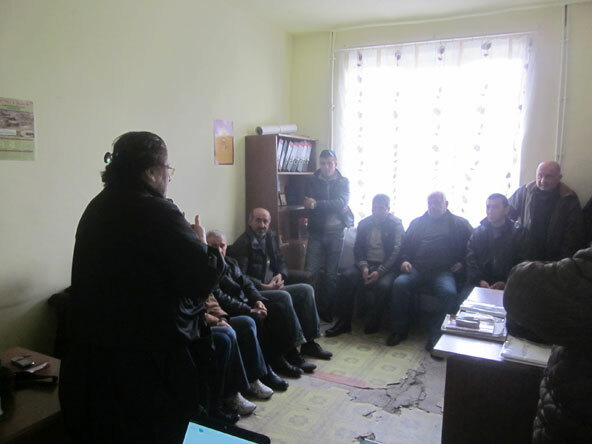 On February 26 , 2014, in the framework of the project “Clean Up Georgia – Raising of Public Awareness and Involvement in Solid Waste Management Improvement” (Phase II), Greens movement of Georgia/ Friends of the Earth Georgia arranged a seminar in Gori Municipality, village Variani with the participation of the representatives of local population including village active members. Totally, 41 activists. 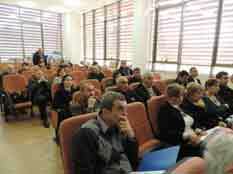 On February 25 , 2014, in the framework of the project “Clean Up Georgia – Raising of Public Awareness and Involvement in Solid Waste Management Improvement” (Phase II), Greens movement of Georgia/ Friends of the Earth Georgia arranged a seminar in Telavi Municipality, village Ikalto with the participation of the representatives of local population, including village teachers. . Totally, 41 activists. 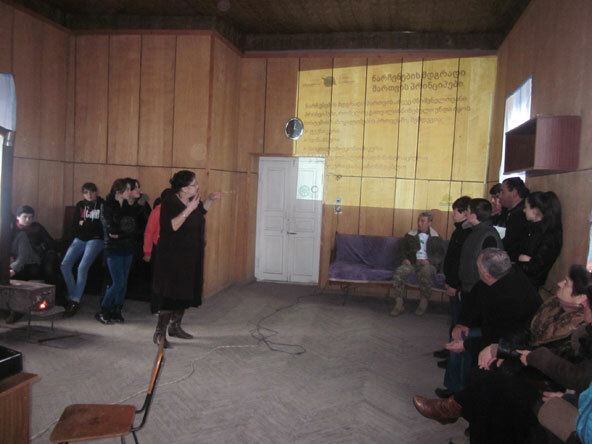 On February 25 , 2014, in the framework of the project “Clean Up Georgia – Raising of Public Awareness and Involvement in Solid Waste Management Improvement” (Phase II), Greens movement of Georgia/ Friends of the Earth Georgia arranged a seminar in Telavi Municipality, village Lapankuri at Gamgeoba building with participation of the representatives of local population, village active and village teachers. In total 21 activists. 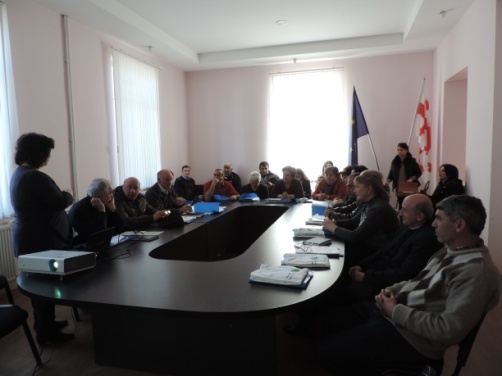 On February 21, 2014, in the framework of the project “Clean Up Georgia – Raising of Public Awareness and Involvement in Solid Waste Management Improvement” (Phase II), was arranged the meeting with the teachers of Kareli Municipality schools. 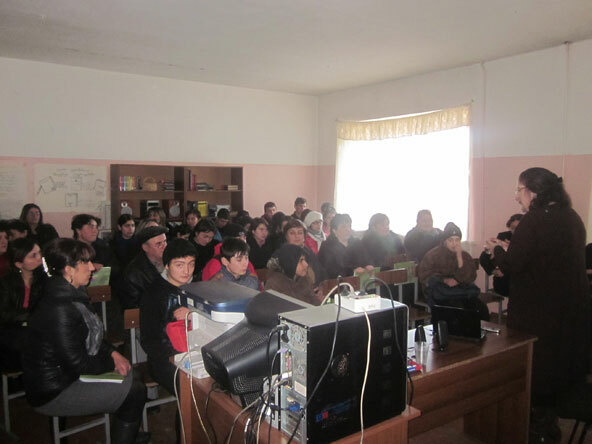 On February 19 , 2014, in the framework of the project “Clean Up Georgia – Raising of Public Awareness and Involvement in Solid Waste Management Improvement” (Phase II), Greens movement of Georgia/ Friends of the Earth Georgia arranged a seminar in Sagarejo Municipality, village Badiauri with the participation of the representatives of local population, village teachers and village trustee. In total 31 activists.